A cast-iron skillet is a commitment and involves care and attention, but it’s a valuable part of an avid chef’s arsenal. We’ve sought out the best cast-iron skillets out there for your money. We’ve already covered non-stick skillets and frying pans. In an ideal kitchen, you want a combination of non-stick skillets and cast-iron skillets. The former is great for everyday tasks like cooking up eggs in the morning while cast-iron skillets are great for something a little more weighty and time consuming than a simple fried egg. If you’re willing to put the time in, cast-iron skillets are a great long term commitment but they require plenty of care compared to the pans you’re likely more familiar with. 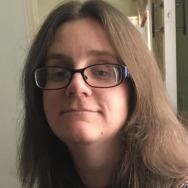 You can’t throw them in the dishwasher, for instance, because the non-stick element of cast iron is the “seasoning”—layers of cooking oil that have polymerized onto the iron. Hit that delicious non-stick magic with hard detergent and it’ll strip away leaving you with a naked hunk of cast iron. But what do you get for a lifetime of lovingly hand washing your cast iron pans with hot water and elbow grease? They’re durable but substantially heavier than a typical non-stick pan. They’re perfect for searing because of how well they hold onto heat, unlike non-stick pans that can provide more mixed results. Cast-iron skillets are also safe past 500 degrees and can go under the broiler, giving you extra options for your cooking that simply aren’t there if you’re using a thinner and less heat resistant non-stick pan. That’s why some of these cast-iron skillets look expensive for what they offer—compared to a Teflon-coated pan you might scratch up and trash within a year, you’ll own a cast iron pan for life. Good cast iron is an investment. Here are some of the best cast-iron skillets around. 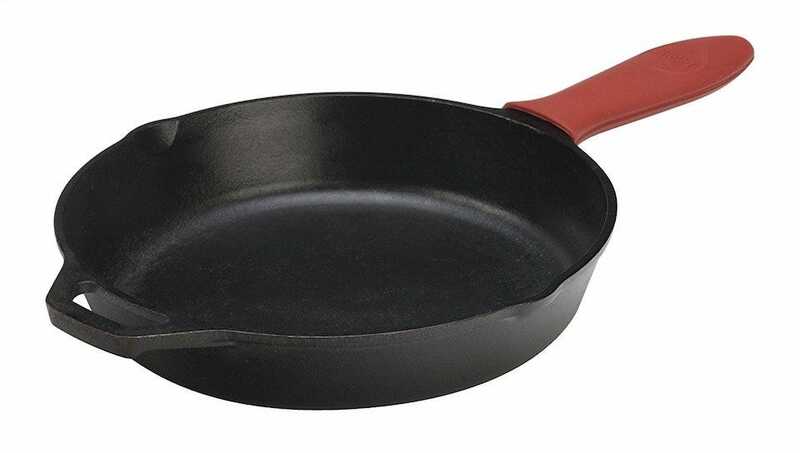 As a middle range offering, the Lodge Cast Iron Skillet, 12-inch is a good all-rounder. It comes pre-seasoned with oil for a natural and easy-release finish that promises to improve with further use. It’s a hefty sized skillet that’s perfect for family cooking, providing you’re strong enough to lift it in and out of the oven. Smaller sizes are available but you can’t beat the versatility of the 12″ variety. Its deep lip means it’s good for cooking up mostly everything imaginable, while still being great for some quick pancakes or searing a steak. In addition to being a sturdy pan, it also comes with a silicone hot handle holder. The holder needs to be removed if you put the skillet in the oven, but it’s perfect for moving pans around on the hob or campfire—keeping your hand safe from the heat all the while. Proving that you can buy a cast-iron skillet on a budget, the Victoria Medium Pre-Seasoned Cast Iron Skillet is a great introduction to the world of tougher wearing cookware. The 10-inch variety here is the perfect size for family meals, with its pour spouts proving perfect for easy cleanup duties. It has a long curved handle for easy use, while also keeping your hand further away from the heat source, plus it’s been lightly pre-seasoned with 100% non-GMO flaxseed oil for a tastier finish. It’s deep too, at about 2″ deep and perfect for a frittata. Look after it well, and it’ll prove to be a fantastic bargain for your home. On the other end of the cost spectrum is the Le Creuset Signature Iron Handle Skillet. 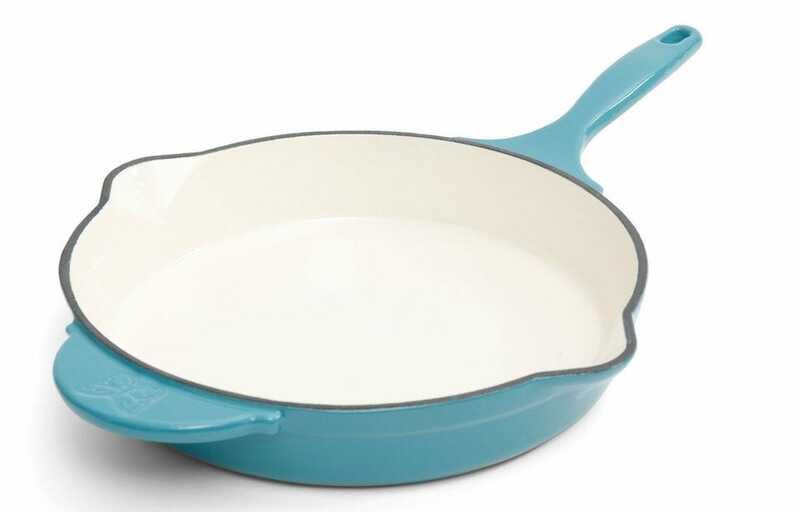 For the price, you could buy 8 of the Victoria skillet and still have money left, so why buy the Le Creuset? On a shallow note, it looks gorgeous. It’s a far more stylish skillet than any others here and the kind of thing that’s going to make your kitchen stand out when people are visiting. More practically, the Le Creuset has been optimized for a steady and even heat. It has an enamel interior that resists staining, dulling, and general wear and tear, while still working like a regular cast-iron skillet. It’s even safe to place in the dishwasher which is a very rare thing for a cast-iron skillet as doing so with a non-enameled cast iron pan will damage the seasoning on the skillet and force you to re-season the pan. A large loop handle makes it more ergonomic to hold and carry, even while wearing oven mitts. It’s essentially the Ferrari of cast-iron skillets, right down to being able to pass it down the family in the future. Its price reflects that. Distinctly stylish as well as practical, The Pioneer Woman Timeless Cast Iron 12″ Skillet has the look of the perfect present for the avid chef. 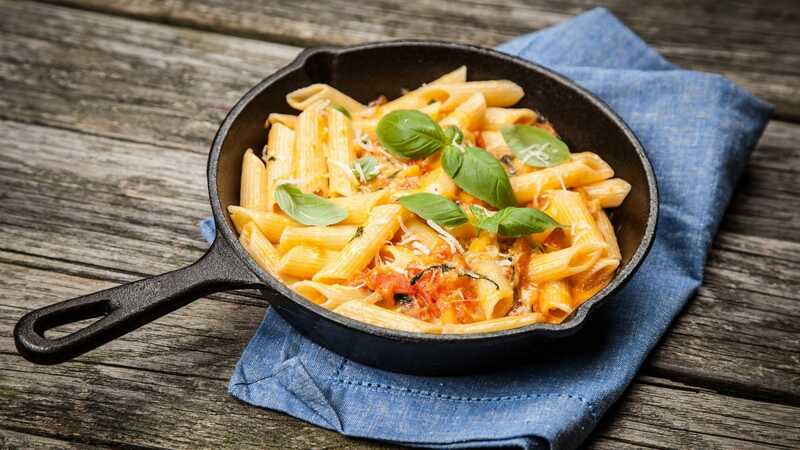 Like the Le Creuset, it has an enamel interior that makes it look more attractive than pure cast-iron skillets, while still maintaining the advantages of a traditional looking skillet. It still withstands any temperature within the oven, and it’s still very heavy. It provides an evenly heated surface too, so your eggs cook just how you like them and your steak is perfectly seared. ‘How cheap?” I hear you ask. 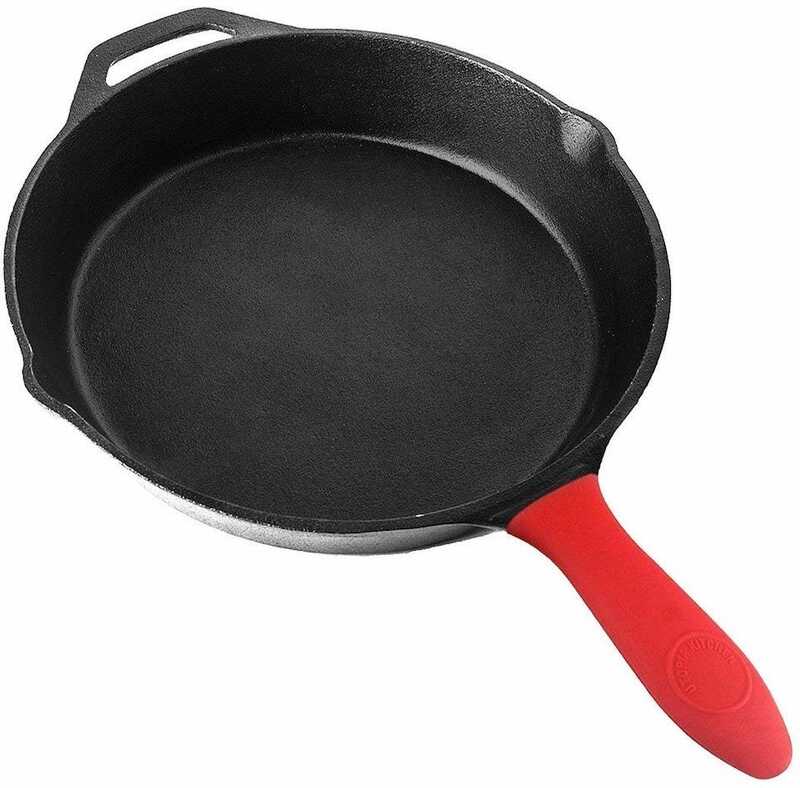 Yes, “that cheap!” I say–the Camp Chef 12 Seasoned Cast Iron Skillet is extremely cheap for a cast iron skillet. It’s pretty much the cheapest skillet you can find but, impressively, it’s actually quite good too. The pre-seasoned coating means it’s ready to cook with as soon as it arrives. An easy to grip handle makes it easy enough to lift, and there’s a comfortable weightiness to the pan. Dual pour spouts make it great for pouring stuff from, and it’s suitably deep at about 2 inches. It’d be hard to expect such a cheaply priced skillet to last generations, and it has that mass produced quality to it, however it’s pretty effective. It won’t be your favorite piece of cookware but as something to supplement more favored options, it’s a bargain. 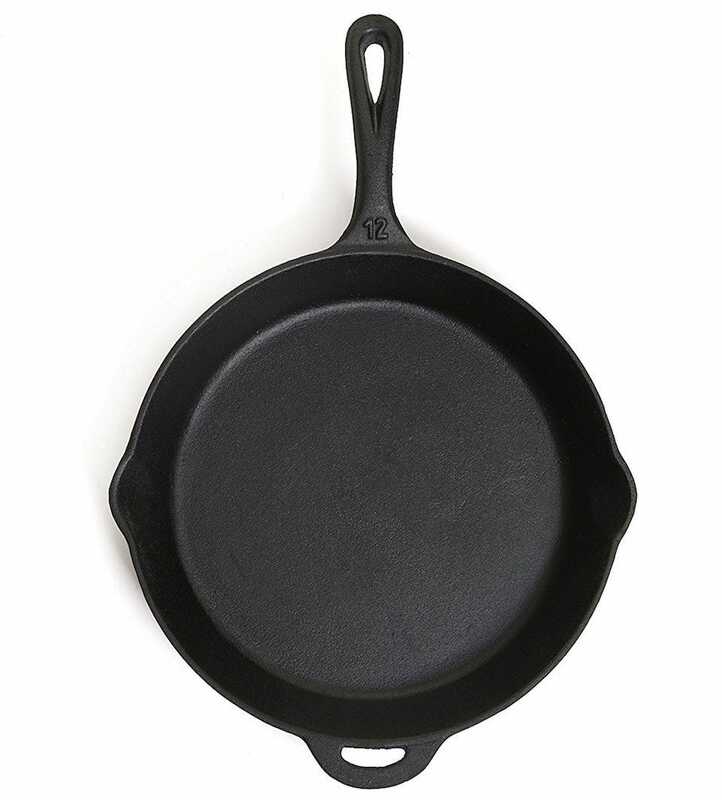 If nothing else you’ll have a cheap but durable introduction to cast iron and maybe even a camp skillet that gets passed down through the generations as the little-skillet-that-could. Offering a lot of what more expensive companies provide, but at a better price, the Utopia Kitchen 12.5 Inch Pre-Seasoned Cast Iron Skillet is a good option. Essentially, it does exactly what you could need but without much style or panache. Its pre-seasoning is fairly competent, being the equivalent of about 10-15 rounds of regular home seasoning. There’s a silicone handle for extra safety when handling it, with the handle itself able to cope with temperatures up to 450F. It’s deep enough to pile in all your ingredients without any issue too. The pour spouts are a little more narrow than on some skillets, but it’s a minor issue in an otherwise well-priced pan. Winter is hanging on for many of us and by now, you’re probably wishing you’d invested in a nice pair of gloves. In case you haven’t got round to it yet, we’ve gathered up some of the best touchscreen gloves out there, ensuring you’ll be toasty warm and still able to use your touchscreen devices.